At a press conference, the Hungarian prime minister said that the current weakness of Hungarian-Croatian relations is unnatural, stressing that it is abnormal for there to have been no mutual visits to each other for six or seven years by the prime ministers of two neighbouring countries that see each other as allies. “Relations between the two countries is not without its problems”, he pointed out. Accordingly, he noted, the time had come for his visit, the goal of which is to change this state of affairs and ensure that relations get back on track. He added that at their private meeting and the subsequent plenary session “productive steps” had been taken, and it had been clarified that “in a historical perspective, we are in agreement”. 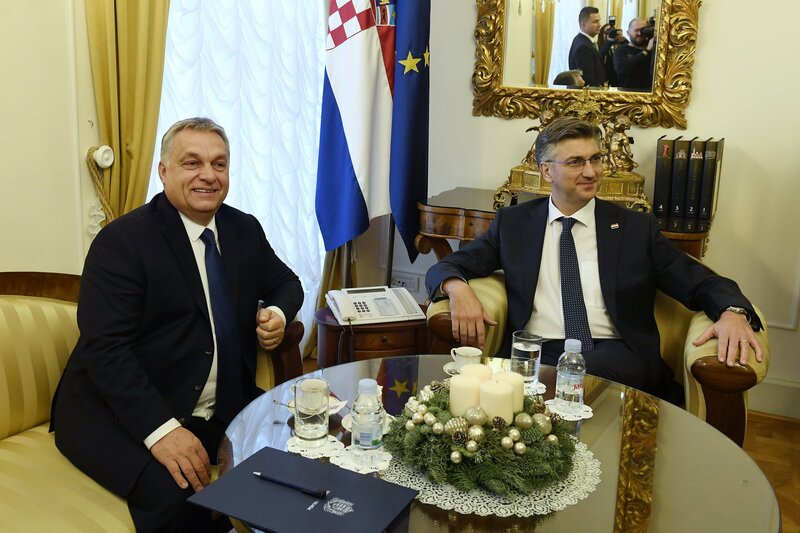 “We want a strong Europe, we want to strengthen cooperation between the European nations”, he explained, “and we will be glad if Croatia becomes a member of the Schengen Area at the earliest opportunity; this will also strengthen Europe”. He also confirmed that the economic figures related to Hungarian-Croatian cooperation are excellent, trade volume and Hungarian investments in Croatia are continuously increasing, and ever more Hungarians are travelling to Croatia. These tourism figures indicate that “relations between the people are also good”, he said. The Prime Minister also stressed that minorities are at home in each other’s countries: Hungarians living in Croatia appreciate the current government and talk about Croatia with respect, and it has also been a long time since Croatians living in Hungary received as much support from the Budapest government as they do now. In reply to a question concerning the MOL-INA affair, Mr. Orbán said that Hungary sees it as an exclusively company issue, explaining that in his opinion “if something doesn’t work, it shouldn’t be forced”: if the Croatians and Hungarians cannot cooperate on a business issue, then they shouldn’t, and in this case the Croatians should buy back INA. Asked about MOL CEO Zsolt Hernádi, the Hungarian prime minister replied that Hungary sees this as a legal issue, “and in Hungary politics does not interfere in legal issues”: the justice system must follow its course and its own logic. He added that he will not be concluding any secret deals in relation to any legal issue, and insisted that in international relations law and intergovernmental political relations should also be separated as clearly as possible. With regard to the Croatian LNG terminal, the Prime Minister said that gas will play a diminishing role in the Hungarian energy system, because Hungary is expanding its nuclear power plant and is engaged in the development of solar power. Since “these capacities will only reach their peak after many years, however, gas will continue to have significance”, he explained, and the important factor for natural gas is price. He observed that Hungary receives its cheapest gas via pipelines from Russia; the second cheapest is Romanian gas, which the Americans will soon be extracting; third on the list is gas arriving via Slovakia; and gas arriving through Croatia is fourth. He said that for Hungary “liquefied natural gas is a price issue: if we can find a business model that results in a price that is suitable to Hungary, then we will engage in cooperation”. 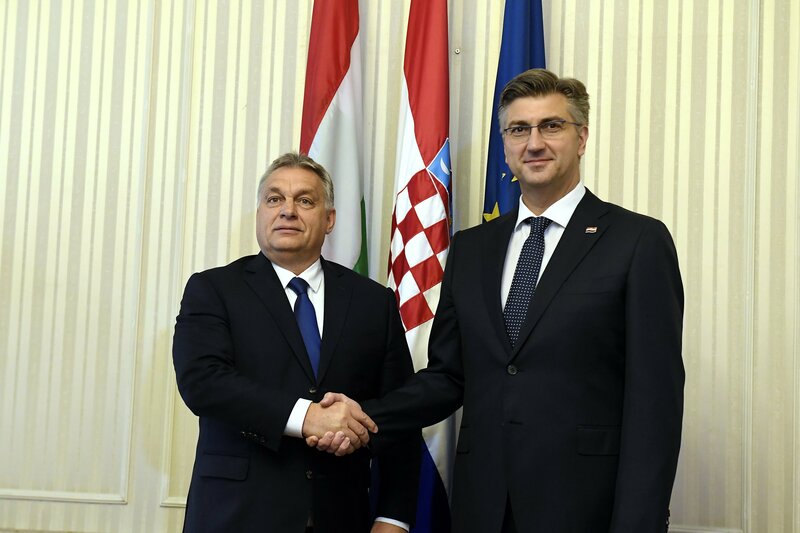 The Prime Minister said that he agrees with his Croatian counterpart concerning the regional significance of the project; but for Hungarian decision-makers this criterion does not come ahead of price. 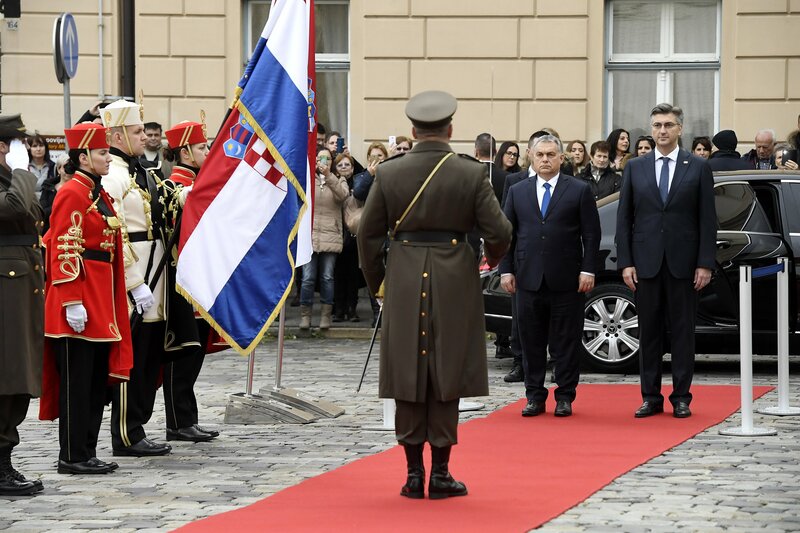 During his official visit, Mr. Orbán will be holding talks with President of Croatia Kolinda Grabar-Kitarović, in addition to which he will also be meeting Speaker of Parliament Gordan Jandroković.